THE COCOANUTS, the Marx Bros’ first film. As is my custom, I’ll be looking at anything I can find of interest APART from the Marx Bros. It seems entirely appropriate that the Marxes’ debut opens in negative, as it’s going to reverse a lot of filmic conventions. The director is the gifted Robert Florey (with back-up from Joseph “who he” Santley), and he does his best to keep things moving despite the fact that this is a VERY earl talkie. His scheme is generally to hold a wide shot until breaking point, then perform a brief tracking movement to enliven the frame, then hold on the resulting fresh composition until breaking point, then do it again. It’s not exactly Eisenstein, or Sam Raimi, but it staves off rigor mortis. Still, this time round the movie seemed lively enough. I first became aware of the movie’s problematic status via Leslie Halliwell’s column in the TV Times, where he cited this film as the movie he got the most requests for. He apologised for its absence from Channel 4’s (at that time) lively film schedule, saying there just wasn’t a decent print of it available. Eventually he yielded and screened an indecent print, which had super-crackly sound and variable picture. I still enjoyed the movie, but it seemed a world away from the subsequent Paramount classics. I next saw THE COCOANUTS on VHS, a fuzzy release even for a tape, and can remember only laughing at one bit, Harpo’s repeated slow rise from the dinner table with sour expression (this had us on the floor all over again this time round). Seeing the movie once more, with some bits of it looking and sounding almost pristine, a few key scenes dropping off into crackling blotchiness, I was able to appreciate it a lot more. 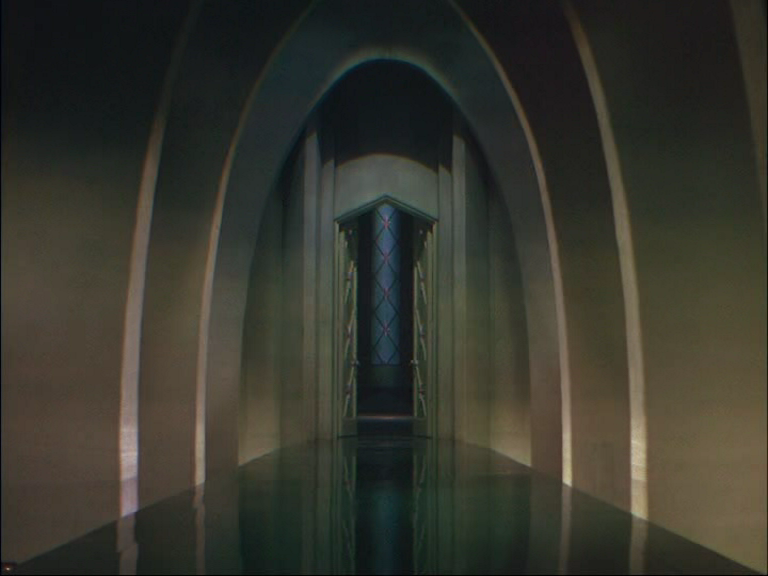 ANIMAL CRACKERS is really a clone of the set-up here, with the aspiring architect replaced by an aspiring painter, the stolen jewels replaced by a stolen painting. The plot in this one makes more sense — that’s not necessarily a good thing, though. The young lovers in Marx movies are always terrible, even if the actors involved aren’t terrible. Here, they’re terrible. Oscar Shaw, gap-toothed and anglicized, might have made a pleasing foil for the brothers if he’d been cast as a chump/villain, and he gamely partakes of a good bit of pickpocketry with Harpo, but you can’t root for the guy. I know it takes ages to become an architect, but he’s about twenty years too old for his role, and shows it. As his rich girlfriend, Mary Eaton (GLORIFYING THE AMERICAN GIRL) is pretty weak and colourless. She can’t seem to differentiate the sad, solo version of her song (basically the film’s only melody, repeated ad infinitum, Irving Berlin apparently working to rule) from the happy duet. 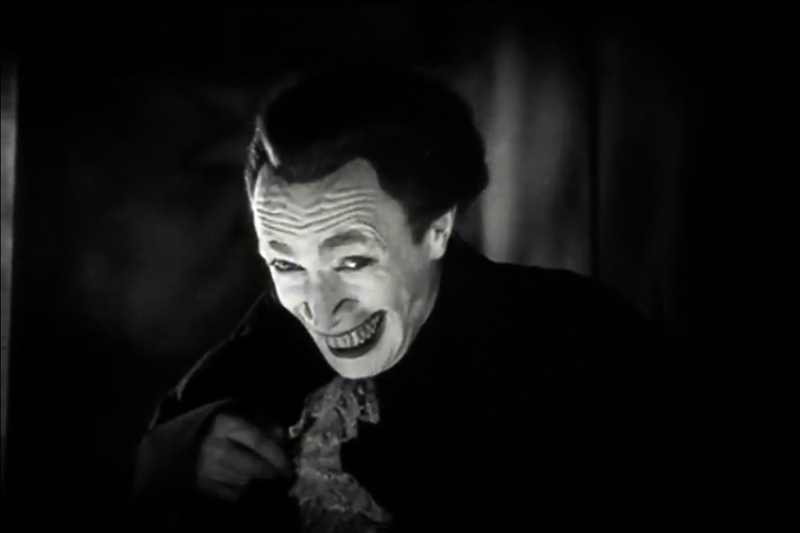 Cyril Ring as Yates is first in the long tradition of grating, low-charisma baddies the Marxes can humiliate with impunity. Nobody’s a match for Louis “the walking Fontanelle” Calhern as Ambassador Trentino in DUCK SOUP, but the oily Ring is quite adequate. Bill Ruysdael is a hackneyed Irish cop, briefly coming into his demented own during the “I want my shirt” aria. Bellhop straining not to laugh. Take One? Big news here is Margaret Dumont and Kay Francis. Dumont plays maybe her least sympathetic role, used more as a barrier to true love than as a target for Groucho. There IS some prime material here, more than a hint of pleasures to come, but you can’t help but compare it to later outings and find it less sustained and outrageous. Weirdly, I didn’t fancy her in this one, where she’s my age (ulp). Is it ANIMAL CRACKERS where she seems suddenly cute? Maybe because Mrs. Rittenhouse is a nicer character, and Margaret’s natural warmth and unexpected girlishness can come out more. Here, she wields a mean lorgnette and looks down her prow at people and does all the expected grande dame business — and then Groucho hits on her and the magic starts. Suddenly realized that Groucho’s characters are divided between low-status bums like his failing hotelier here (played with suitable hotelier-than-thou attitude) and his horse doctor in A DAY AT THE RACES, and his exalted explorer Captain Spaulding in ANIMAL CRACKERS and his glorious leader Rufus T. Firefly in DUCK SOUP. The respected characters prove unexpectedly funnier, because it’s more incongruous and inexplicable that he should enjoy such status with a painted-on moustache, and because Dumont has to somehow fail to understand his insults when the plot requires her to adore him. It’s only really when Groucho is a heroic figure that he can enjoy the myth of Dumont not understanding that she’s in a comedy. Here, Mrs. Potter knows damn well that Hammer (an unsuitably bland name for a Groucho character) is a nogoodnik, and she knows when she’s been insulted. Margaret actually stumbles over one line, an un-heard of thing, but neither of her two directors apparently could be bothered with a retake. Kay Francis lisps appealingly and her liltingly tilting eyebrows, which seem to put her forehead in quotation marks, are a surprising attribute for a fiendish adventuress, the kind of role she didn’t often get to play. She’s a really horrible character, in fact, but such an agreeable presence that one tends to root for her over the heroes. There’s a slight sense that she’s too good for this material, and too genuinely dignified to support Harpo’s leg, which he very badly wants her to do, but because it’s a Marx Bros film and not, say, a Wheeler & Woolsey film, you don’t need to feel bad for her. I like Wheeler & Woolsey, but there’s a definite hierarchy, isn’t there? Great props in this film. To avoid paper crackle ruining the sound, all the letters and documents are soaking wet. This adds great joy to their appearance, and should be revived as a technique even if it isn’t needed anymore. The blueprint in the “Why a duck?” scene is a particular stand-out, drooping like a flannel from Groucho’s fingers. It’s amazing the thing doesn’t disintegrate in his hands. What is it, oilskin? I’m determined to make a wet document film before I die. The two-headed director’s best touches — inventing Busby Berkeley with an aerial shot of dancers making floral patterns, and filming the bedroom farce bit from outside, set walls split-screening the action. A necessary solution to an inherently theatrical problem. Getting cinematic — i.e. editing — nearly destroys the coherence of the action. On Channel 4 or on VHS, it would never have been apparent how radiantly lovely the last silvery images of the film are, the Paramount soft-focus glow in full effect. And then, cluelessly, the directors put their heads together and decide to finish on the awful young lovers instead of the brothers. I’m not making that mistake. I am second to none in my admiration for THE EXTERMINATING ANGEL, which does everything THE TOWERING INFERNO does only better (a bunch of rich toffs in gowns and tuxedos gather for a party and find themselves mysteriously unable to leave) but I think I’m on the whole glad that Bunuel didn’t get to make THE BEAST WITH FIVE FINGERS in Hollywood, as he had wished. 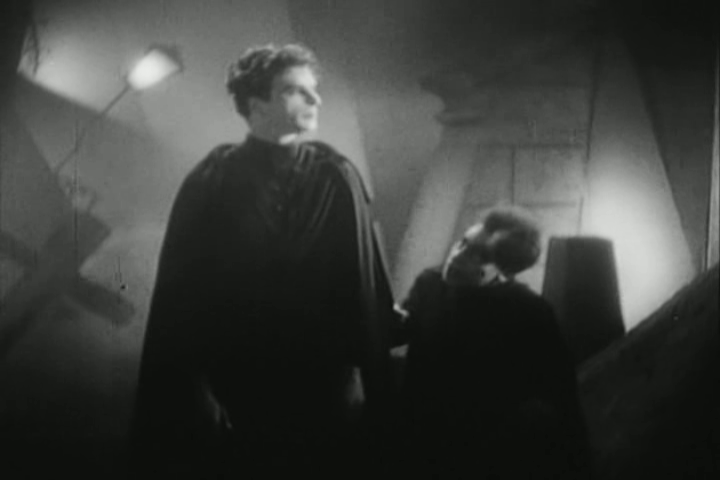 Apart from anything else, it seems just that Robert Florey got to steal the film from a fellow European, the way James Whale stole FRANKENSTEIN away from him (which we certainly can’t regret). Also, Florey’s film has a variety of reasonably impressive special effects. 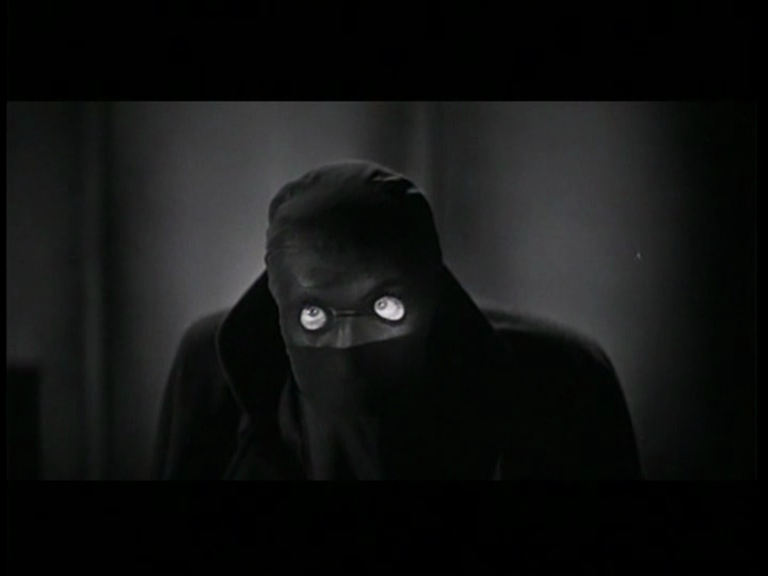 When Bunuel includes a Crawling Hand in a dream sequence in EXTERMINATING ANGEL, the effects are just ALL WRONG. First, the hand enters, suddenly, with a wet slap, seeming jumping onto the floor from UNDER the door, a spatial impossibility which might be kind of cool and dreamlike if it looked better. Bunuel always liked using strange, counter-intuitive sound effects — he’s great to study for that — but they quite often don’t work (think of the mewing cats in BELLE DE JOUR — effective only because of an earlier non sequitur line about “Don’t release the cats!” but kind of awkward in situ). Here, the progress of the hand, which slides across the floor exactly like a prop on a wire, rather than crawling ratlike in the approved Florey manner, is accompanied by clapping or finger-clicking, which makes conceptual sense but just isn’t scary. Far worse, the sequence climaxes with the prop hand attacking its victim, and careful casual study of the shot reveals that the hand is not only a dummy, but is being worked from below by a real hand. The worst possible combination of techniques! I mean, if we’re not meant to see the edge of the wrist-stump, then just use a real hand. If we ARE meant to see it, maybe put it on a black stick or something? The last thing we want is for the prop hand to be transparently worn like a mitten by some Spanish props guy with his pale and obvious thumb sticking out. Don Luis, you really must try harder or you won’t make it in the digital age.